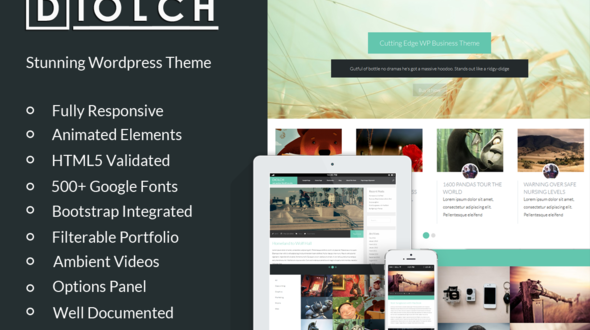 Diolch is a light, clean and responsive wordpress theme. 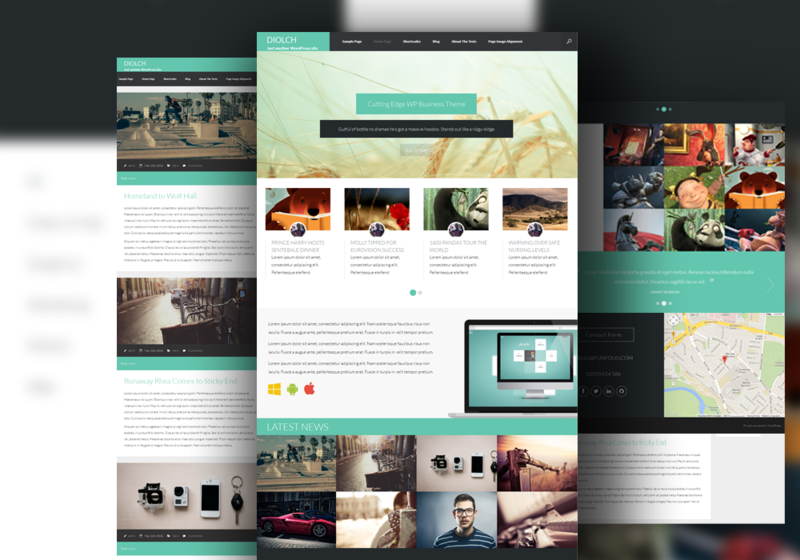 It boasts, crisp typography, a video background header, filterable portfolio and testimonial rotator among other features. 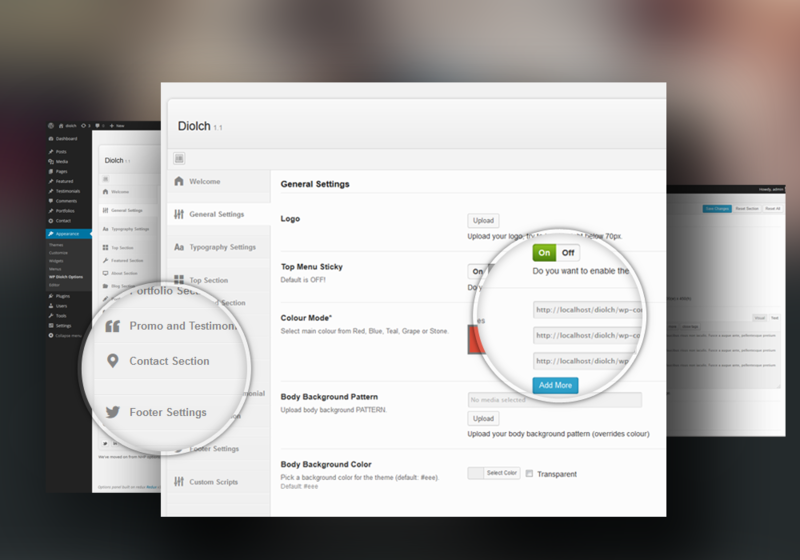 Perfect for Agencies or Studios to showcase their work on that all important homepage. Includes custom featured posts carousel, smooth scroll, google maps and fonts, CSS3 animations, excellent options panel and some incredibly useful UI shortcodes with Tabs, toggles, sliders, accordions, maps, alerts, rows, columns and progress bars!